The Law on Research into Embryos expresses a belief in the importance of freedom of research and the acceptance of ethical pluralism in society. Commercial surrogacy is prohibited on public policy grounds. The Law on Research into Embryos appears to affirm all types of research directed at therapeutic purposes and increased medical knowledge. Implicitly, the creation of embryos for research is also allowed. Couples seeking PGD must be seen by psychologists and counseled regarding the welfare of the future child, the family context, and parenting abilities before the procedure is approved. The research has a therapeutic purpose or contributes to a better knowledge about fertility, infertility, organ and tissue transplantation, and prevention or treatment of diseases. The research is founded on the most recent scientific findings and conforms to the requirements of correct scientific methodology. The research is conducted in a licensed laboratory that is linked to an academic program for assisted reproduction or human genetics and is performed in appropriate technical and material conditions. The research is conducted under the supervision of a specialist or a qualified person. The research is performed on embryos during the first 14 days of development, the period of freezing not included. There is no other research method that is equally efficient. Note: Approval needed by local Institutional Review Board (IRB) and by Federal Commission for Embryo Research. Dual approval is needed. Gamete (sperm and eggs) and embryo donation for assisted reproduction is permitted (albeit generally anonymous, with some provision now for known donors). Gamete donation is non-commercial (although expenses made by the donor – e.g. travel costs or loss of income – must be reimbursed). Assisted Reproductive Technology centers must obtain a license to practice, provide annual reports, and work with one of eight human genetic centers established at the eight medical faculties in Belgium. The centers decide autonomously for which conditions and therapeutic purposes (e.g. HLA-typing) they will offer PGD and to whom. The Law on Research into Embryos requires that embryo research be approved by a local ethics committee of the academic institute and the Federal Commission for medical and scientific research on embryos in vitro. The Commission rules with a two-thirds majority. The Commission also collects and centralizes information on the different projects on embryos in vitro and issues recommendations for future legislative initiatives or other measures. The Law on Research into Embryos requires that the Federal Commission for medical and scientific research on embryos in vitro reports to the legislative chambers. 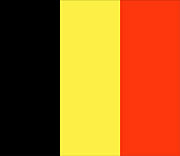 Belgium was one of the last countries in the European Union to regulate PGD and embryo research by law. Until 1999, PGD was permitted unregulated without license. This page was last modified on 7 July 2015, at 15:59.